Did You Notice?… NASCAR’s parity problem? The new, low-horsepower handling package at intermediate tracks combined with several new 2019 rules have been designed to bring the field closer together. In many ways, the field is tighter than ever. But that parity has occurred within teams rather than the full 40-car field itself. 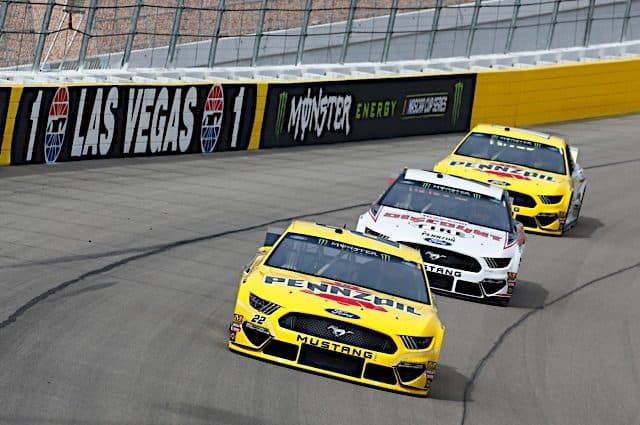 Seven races in, just two organizations have won in the Monster Energy NASCAR Cup Series: Team Penske and Joe Gibbs Racing. Three of the seven races have resulted in 1-2 finishes by a particular team; in the season-opening Daytona 500, Joe Gibbs Racing went 1-2-3. Two of the other races could easily have been a 1-2 finish by one organization, too. At Atlanta Motor Speedway, Brad Keselowski and Joey Logano were 1-2 before a late-race tire problem for Logano. Then, this weekend at Texas Motor Speedway, Kyle Busch and Denny Hamlin were 1-2 before Busch got loose in Turn 2. Busch wound up hitting the wall later on but even that didn’t stop JGR’s dominance; Hamlin and Erik Jones were 1-2 before the final round of pit stops. Only at Auto Club Speedway (where Team Penske went 2-3) and Martinsville Speedway (where Keselowski and Hendrick Motorsports’ Chase Elliott were the fastest cars) did we see a break in this trend. More than ever, individual organizations run clustered together with minimal speed difference between them. That pattern pushes its way into the current postseason standings. The top eight drivers are currently from just three organizations: Penske, JGR and Stewart-Haas Racing. All three Penske cars make the list along with three from JGR and two from SHR. And if the season ended today, the trio of outliers for the 11 total cars in these programs all sit above the playoff cutline. I don’t think that’s the type of parity NASCAR was hoping for. Remember the days when one team within a program like Hendrick Motorsports would struggle to keep up? A Jeff Gordon and Terry Labonte would excel, say, in the 1990s while Ken Schrader’s team lagged behind. More recently, you had three SHR cars in contention while Danica Patrick’s No. 10 was a level below. You don’t see that much anymore. Kurt Busch and Kyle Larson from Chip Ganassi Racing sit 10th and 12th in points, respectively. Michael McDowell and David Ragan are 26th and 27th for Front Row Motorsports; new teammate Matt Tifft sits 31st. These groups of cars are more likely than ever to succeed and struggle at the same pace. And on the rare occasion an outlier breaks through? Furniture Row Racing was, in essence, absorbed by JGR during the offseason. Martin Truex Jr. and crew chief Cole Pearn solved the problem of a lagging No. 19 Toyota for them in house. When sponsorship issues popped up for the No. 78, the endgame became strengthening a four-car superteam rather than ensuring a separate car and alliance. That phenomenon creates two problems for NASCAR. It limits the opportunity for smaller teams to nudge their way into contention; it also keeps the same faces and teams at the front. If Kyle Busch has a problem at TMS, like we saw, another JGR is in position to take control. But there’s a different trend here, one that equates NASCAR to Formula 1 competition. All that’s missing are the team orders (although stock car racing has nudged in that direction in recent years) and the standing start. 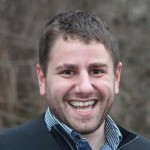 Millions has been spent in engineering, testing and information sharing within organizations. That’s combined with rules pushing parity to make cars within teams exactly the same. The problem is there’s limited overlap between NASCAR and Formula 1 fans in America. It’s also a different type of fandom and appreciation of racing. Formula 1 champions the millions of dollars in engineering spent to create sleek, state-of-the-art race cars that are different from what you drive on the street. The awe of that engineering and the difficulty of racetracks helps balance out limited passing and races where team orders can result in mundane 1-2 finishes. You also rarely see contact in Formula 1 (at least the type that keeps both cars on the racetrack in contention). NASCAR has been able to limit such orders, to a degree, while their multi-car operations have expanded. But the millions spent in engineering is doing… what, exactly? The whole premise of NASCAR in its early days was these were the same cars you could have driven on the street. And while more road courses are being added, driver skill on ovals isn’t exactly as eye-catching as what you see during an F1 race in Bahrain. I’m not arguing the skill isn’t there; far from it. 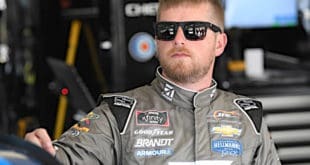 But NASCAR has set the rules to be wide open at many intermediate tracks, meaning the skill is most noticeable when you’re running side by side. Otherwise, it looks more than ever like highway driving with cars running in a straight line. That passing up front, of course, is where the series has struggled at times this season. Martinsville featured just three lead changes, the fewest in any race there since 1967. The cars are running closer together but clean air limits the passing up front. It all begs the question: does it matter if the top-10 cars are within five seconds instead of 20 if they’re all still stuck running in place? Another Formula 1 engineering phenomenon is the sleek look of their race cars. NASCAR’s Chevrolet Camaro, Ford Fusion and Toyota Camry are unique in their own way. But the way they look doesn’t make them a marvel of engineering, either. It’s some type of weird no man’s land. They look better than the Car of Tomorrow from the sport last decade but lag behind the individuality of open wheel. It’s also clear they’re no longer a car you can bring in from the street and drive. NASCAR has taken some concrete steps to move in the right direction this year. The schedule, handling package, even the botched qualifying rules have shown the ability for leadership to step up and address major problems. But the power and persistence of multi-car teams in this era is creating a difficult monopoly to break up. How the sport is able to reframe its parity, allowing the ebb and flow of more teams into postseason contention, is key to its future as the most popular motorsports series in America. Did You Notice? … Quick hits before taking off…. 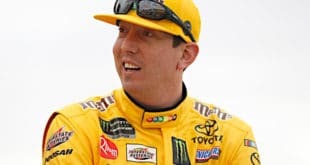 We didn’t even address the Xfinity and Gander Outdoors Truck series where Kyle Busch has made a mockery of 2019. Since the season-opening races at Daytona, Busch has won seven of the last nine races in those divisions. His break from Xfinity, despite that impressive feat can’t come soon enough. We want parity right up to the point of it becoming an IROC series. If you end up with a kit car then the price of parity is too high. I’ve been saying for years that Nascar is turning into IROC. Let me see, where is IROC???? There used to be so few multi car teams that it didn’t really matter. The one of teams were in the majority, and gave opportunities that no longer exist. Painful to see the juggernauts run around and over the original concept. NA$CAR running RP (Restricted Performance) engines all the time is kind of like F1 not giving the teams enough fuel to run flat out the whole race. F1 changed the rule so the teams have enough fuel now. When will NA$CAR do the same?